Below are two short excerpts shared by members of the Pax Christi International delegation in Israel-Palestine. 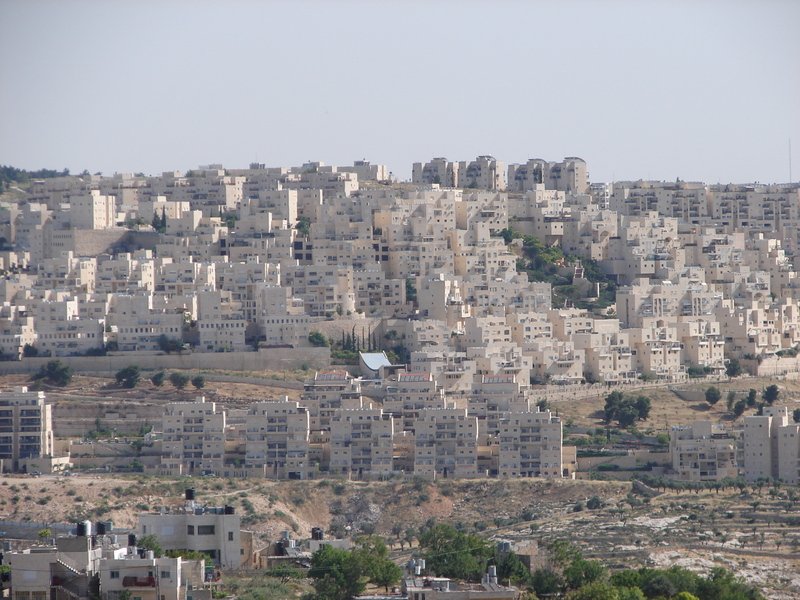 Recently constructed Israeli settlement in the Occupied West Bank. The Holy Land Christian Ecumenical Foundation attempts to reconnect Palestinian Christians living in the diaspora to their homeland in Palestine. Approximately 120,000 Palestinians are living around Bethlehem with about 2 percent being Christian today. More than 300,000 have left the area to immigrate to Chile and other South American countries seeking a better, more just life. Stephen is keeping a personal blog during the trip. You can click here to read more of his reflections. We are listening to a lot of Palestinians, in this land of Jesus. They, like Jesus, are oppressed by an occupying force. We hear about restrictions on where they can live, work, and travel, and how the occupiers control the water and electricity, and even their land. It is inspiring how committed they are to working for justice for their people while they continue to carry their cross. Click here to see more information on the delegation, including photos, additional posts, background info, etc.